We know that coming to a new or an updated website may take a few visits to get familiar with it. Its layout and how everything functions, as well as where everything is, can be confusing at times. Therefore, we have created a short video just for you, so that you'll be familiar with its features and navigation. Our goal in updating the website was to give our customers a greater ability of searching for products, more functionality, and greater control of the user accounts. If you’re still having difficulty in finding something on our new website, please feel free to call us at 800-575-4401 and one of our team members will be happy to assist you. 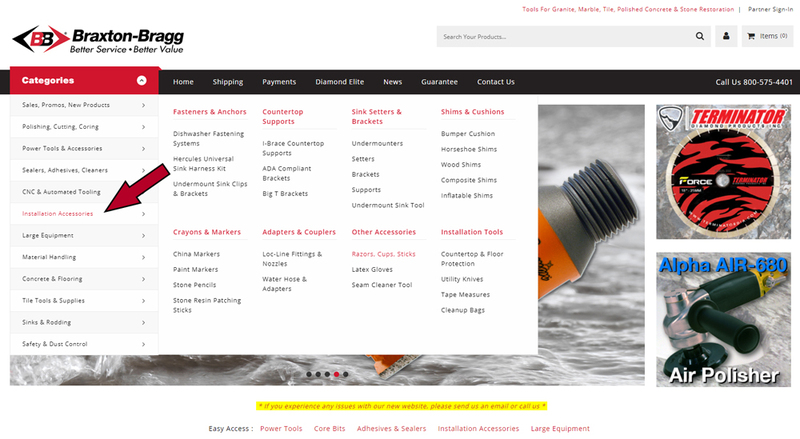 What's the best way to navigate and find products? 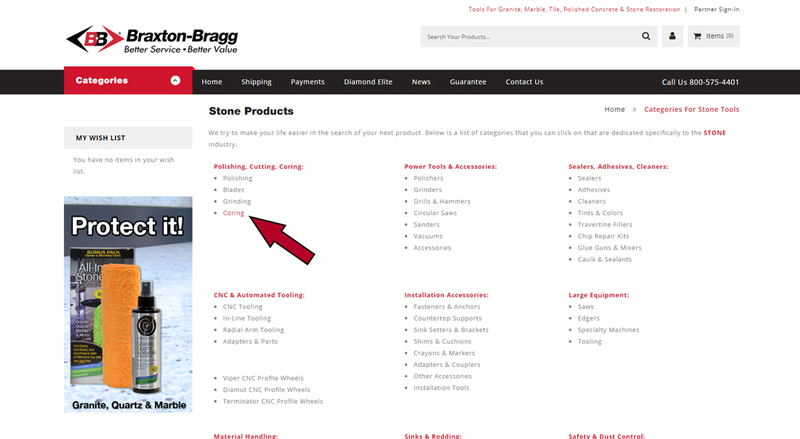 The very best way is to use the navigation menu and look through the categories listed within. 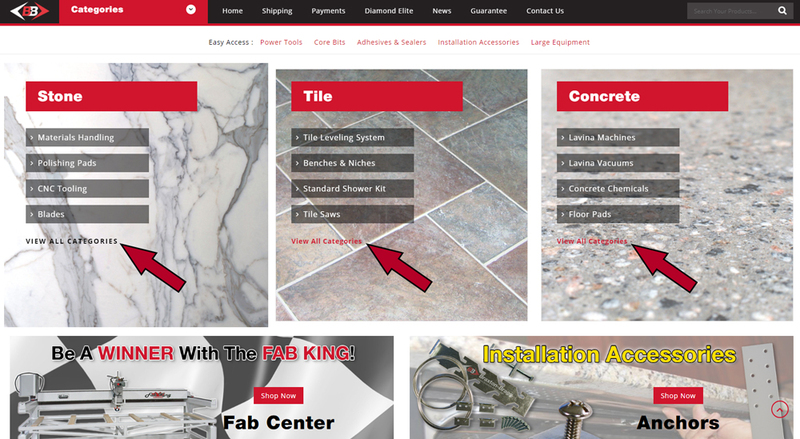 If you're still having difficulties finding what you're looking for, try going to the main category for either: Stone, Tile or Concrete. Once on the appropriate category page, you may narrow down your search by clicking on the link that best describes your search query.